Are you tired? Worn out? Burned out on religion? When Sheila Walsh came to realize "I'm not good enough and I'm good with that," her life started to change. 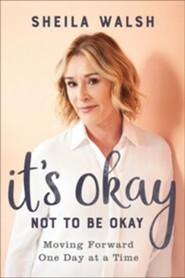 In It's Okay Not to Be Okay, she helps women overcome the same old rut of struggles and pain by changing the way they think about God, themselves, and their everyday lives. It's never too late to start over again. Take the first step by implementing some of the practical, daily strategies provided by Sheila that will help you move forward one step - knowing that God will never let you down. 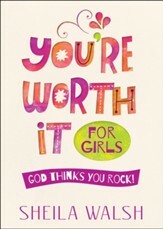 Sheila Walsh is a powerful communicator, Bible teacher, and bestselling author with more than 5 million books sold. She is the author of the award-winning Gigi, God's Little Princess and In the Middle of the Mess. She is cohost of LIFE Today with James and Betty Robison and her Wednesdays in the Word program, with more than 100 million viewers. Walsh is a popular speaker and Bible teacher around the world, including New Zealand, Australia, and Brazil. She lives in Dallas, Texas, with her husband, Barry, their son, Christian, and their three pups, Belle, Tink, and Maggie. "Sheila speaks from a place of victory, grounded in the knowledge that we are meant to walk 'side by side with Jesus, learning to live freely and lightly.' 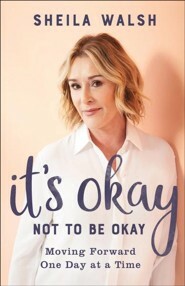 Her encouragement and practical guidance will provide the tools you need to start again, discovering that through Christ you are always enough." "Sheila Walsh doesn’t merely write words, she lives her words - and the Word. When things aren't okay, I honestly don't know a wiser, more life-giving, Jesus-clinging guide than Sheila Walsh." 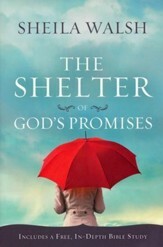 "In this powerful book, Sheila shares the transforming truth that life is a process and that God never leaves nor forsakes us. There are rarely quick fixes in life, but Jesus offers us hope, healing, and wholeness. Okay doesn't live here, but Jesus does." 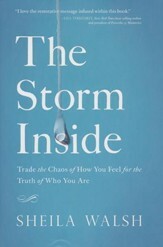 "A beautifully practical way forward through the ache of feeling not-enough. 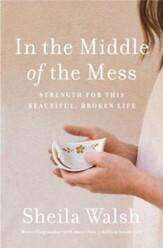 Sheila reminds us that God is so near and willing to meet us in our deepest places of weakness and hurt." "A friend once told me that people aren't interested in what we got right nearly as much as how we've experienced divine redemption when we got it wrong. Sheila is always refreshingly transparent about where she's gotten it wrong so as to make Jesus the sole hero of her story. 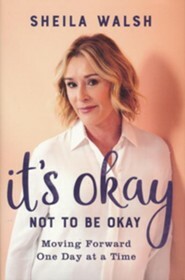 It"s Okay Not to Be Okay is a deeply encouraging – quite possibly transformative – tome for stumbling saints"
I'm the author/artist and I want to review It's Okay Not to Be Okay: Moving Forward One Day at a Time.